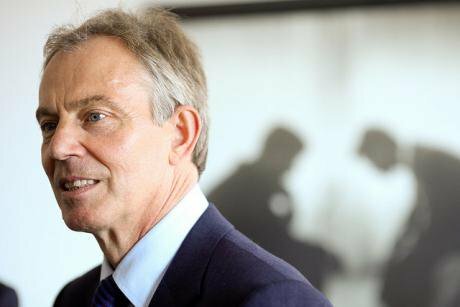 Did Blair secretly promise Bush regime change in Iraq? There is significant evidence that he did. Four months earlier, on 27 November 2002, UN inspectors had entered Iraq for the first time since December 1998. Then inspectors had been withdrawn for their own safety at the request of President Clinton, because the US and the UK were about to mount Operation Desert Fox, a 3-day bombing campaign against Iraq. UN inspectors re-entered Iraq with their rights strengthened in Security Council resolution 1441, which was passed unanimously on 8 November 2002. A couple of months earlier, Tony Blair had persuaded President Bush to “go down the UN route” and seek a further Security Council resolution on the disarmament of Iraq. Resolution 1441 gave Iraq "a final opportunity to comply with its disarmament obligations", which had been set out in several previous resolutions beginning with resolution 687, passed in April 1991 at the end of the first Gulf War. Resolution 687 demanded that Iraq give up its chemical, biological and nuclear weapons – its “weapons of mass destruction” – and missiles with a range greater than 150 kilometres, and “undertake not to use, develop, construct or acquire” these weapons in future. It is important to note that resolution 1441 did not give explicit authorisation for military action against Iraq in order to effect this disarmament. UN weapons inspectors worked in Iraq from 27 November 2002 until 18 March 2003. Inspectors from the International Atomic Energy Agency (IAEA) and the United Nations Monitoring, Verification, and Inspections Commission (UNMOVIC) conducted more than 900 inspections at more than 500 sites, including sites suggested by the US and the UK where WMD material or activity might be located. Inspectors were given access to every site they asked to visit and inspect: “on no particular occasion were we denied access”, the head of UNMOVIC Hans Blix told the Chilcot inquiry on 27 July 2010 (p47). However, he went on to say that he did not get that “proactive cooperation” that he wanted. The inspectors did not find any chemical or biological weapons or any evidence that Iraq had taken any steps to reconstitute its nuclear weapons program. However, they did discover that Iraq had manufactured missiles with a range slightly greater than the permitted 150 kilometres and they set in motion a programme to destroy them. On 18 March 2003, the UN inspectors were once again withdrawn from Iraq for their own safety in anticipation of US/UK military action against Iraq, this time to remove Saddam Hussein from power. The action began the next day without authorisation from the Security Council. No, the date was determined by the US military timetable, to which the UK had assented. 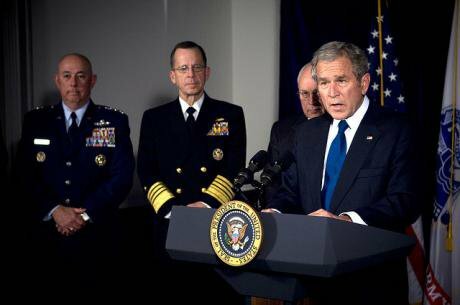 The Bush administration decided that the US forces already in the region in preparation for the invasion of Iraq could not be held back any longer. The UK had already asked the US for a week’s delay, which was granted. A factor in refusing a further delay was the reluctance on the part of the US military to fight a war during the hot Iraqi summer. So, on 19 March 2003, the peaceful UN route of disarmament by inspection was aborted by the US/UK without the consent of the Security Council. They, and they alone, made the decision to terminate disarmament by inspection, which was proceeding relatively unhindered, and to replace it by disarmament by military force. Disarmament by inspection could have continued until the inspectors were satisfied that Iraq was disarmed as required by Security Council resolutions, or until they reported to the Security Council that, because the Iraqi regime was obstructing their work, they were unable to come to a decision on this matter – in which case it should have been up to the Security Council to decide what further action needed to be taken. That’s what the other members of the Security Council (apart from Bulgaria and Spain) wanted. Sir David Manning and Sir Jeremy Greenstock were deeply involved in the diplomacy prior to the invasion, Sir Jeremy as UK Ambassador to the UN and Sir David as Tony Blair’s foreign policy adviser. Unlike their political masters, both have said subsequently that the inspectors should have been given more time to do their job. Was regime change the agreed outcome? There were strong grounds for believing that regime change was the outcome agreed between George Bush and Tony Blair from at least a year before the invasion, and that leaving Saddam Hussein in power, with or without “weapons of mass destruction", was never going to be tolerated in Washington. Remember, regime change in Iraq had been the official policy of the US since October 1998, when President Clinton signed the Iraq Liberation Act into law. This Act stated that it was “the policy of the United States to support efforts to remove the regime headed by Saddam Hussein from power in Iraq” and offered military support to opposition groups in Iraq to bring this about. By early 2002, President Bush had decided to take direct military action against Iraq to put this established policy into effect. Aware of this, the Blair government set about persuading the Bush administration that, if the US wanted support from Britain, the matter would have to be addressed through the UN. Was Blair unflinching in support of regime change? On the face of it, this memo proves that in March 2002 the Bush administration was given an assurance that Tony Blair was unflinching in his commitment to regime change in Iraq, and not merely to its disarmament in accordance with Security Council resolutions, as he told the British public at the time and for the next year. “I opened by sticking very closely to the script that you used with Condi Rice. We backed regime change, but the plan had to be clever and failure was not an option. It would be a tough sell for us domestically, and probably tougher elsewhere in Europe. He was writing of the time in early April 2002, when Tony Blair met George Bush at his ranch in Crawford, Texas. “reached the point where you regarded … removing Saddam's regime … as a valid objective for the government's policy?” (p25). His response was an unequivocal no: “the absolutely key issue was the WMD issue”, he said. Several extracts from book three of Alastair Campbell’s diaries add weight to the view that Tony Blair had made up his mind in favour of regime change by April 2002. According to the leaked minutes of a high-powered meeting in Downing Street on 23 July 2002, Tony Blair was of the same mind: “… it would make a big difference politically and legally”, he said, “if Saddam refused to allow in the UN inspectors … If the political context were right, people would support regime change”. The disarmament of Iraq by peaceful means required UN inspectors being on the ground in Iraq. Yet, here the Prime Minister is expressing the hope that Saddam Hussein will refuse to allow UN inspectors in. Those were not the words of someone who was dedicated to securing the disarmament of Iraq by peaceful means, as he regularly told the British public. - clearly authorised military action in that event without further recourse to the Council. So, if this draft had been approved by the Security Council, US/UK forces would have been authorised to enter Iraq on the pretext of being part of the inspection process. And if Iraq refused to accept these provisions, the draft resolution authorised member states “to use all necessary means to restore international peace and security in the area”. In other words, if Saddam Hussein refused to accept inspectors on these terms, the US/UK would have been unambiguously authorised by the Security Council to take military action against Iraq forthwith. In this event, there would have been no argument about the “legality” of military action. It would, indeed, have made “a big difference politically and legally” in the Prime Minister’s words. But the US/UK didn’t get their way: with France taking the lead, the special rights afforded to permanent members of the Council in the inspection process were removed, together with any suggestion that they could put forces on the ground in Iraq as part of the inspection process. Crucially, the explicit authorisation of the use of force, without a further Security Council resolution, was deleted. The Security Council eventually passed the amended resolution on 8 November 2002 as resolution 1441. France was interested in making practical arrangements for verifying the disarmament of Iraq by inspection. The US/UK were interested in (a) putting conditions on inspection which Iraq wouldn’t accept, so that inspectors would never enter Iraq again, and (b) getting Security Council authorisation for military action in the event of Iraq’s refusal to admit inspectors. But, thanks to France and others, resolution 1441 as passed on 8 November 2002 was acceptable to Iraq, which then allowed inspectors in, while repeating that it had no “weapons of mass destruction”. The attempt to “wrongfoot Saddam on the inspectors” had failed. The US/UK were denied immediate Security Council authorisation for military action. UN inspectors operating under resolution 1441 worked in Iraq from 27 November 2002 until 18 March 2003, when their work was terminated by the US/UK military action to bring about regime change, embarked upon without Security Council authorisation. Part 3: Was Britain's military action in Iraq legal? Peter Oborne's overview is here: We don't need to wait for Chilcot, Blair lied to us about Iraq. Here's the evidence.